Recycle Shop DREAM of Hyogo Prefecture Amagasaki City. 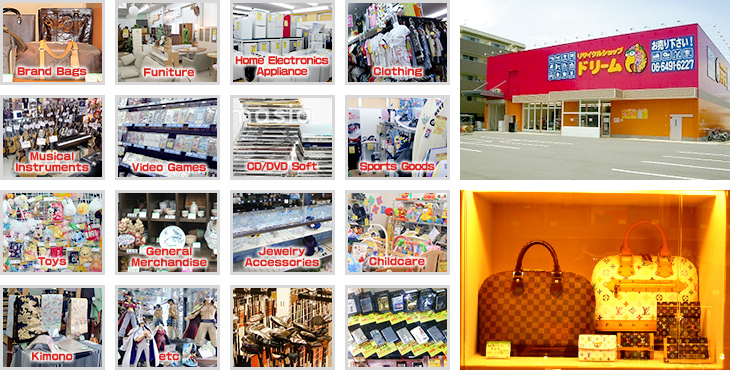 general merchandise, brand bags and so on. Our company thinks the spirit of "Mottainai! (meaning, what a waste!)" with lower price and good quality.